Ask an astronomer where stars come from, and they’ll tell you they’re made inside nebulae that sit, fog-like, in interstellar space. Ask the same question of the civil engineer Stuart Keane, however, and you will receive a very different answer. There’s nothing wrong with Keane’s eyesight. The stars he sees are architectural, not celestial, and they emerge not from some cosmic cloud, but from the outer reaches of Abu Dhabi’s ­industrial zone in Mussaffah. 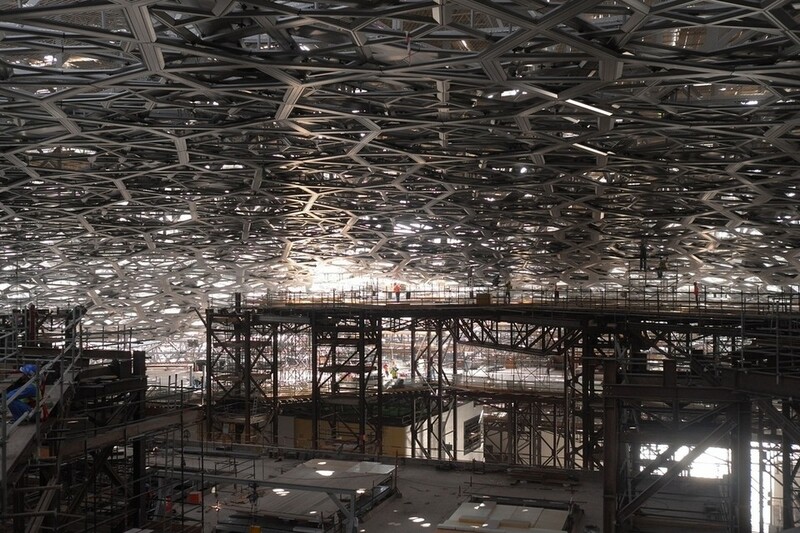 Each day, Keane and the stars head for the same place, the Louvre Abu Dhabi construction site, where the American works for Abu Dhabi’s Tourism Development & Investment Company and the stars cluster in bright octagons on the rising museum’s roof. 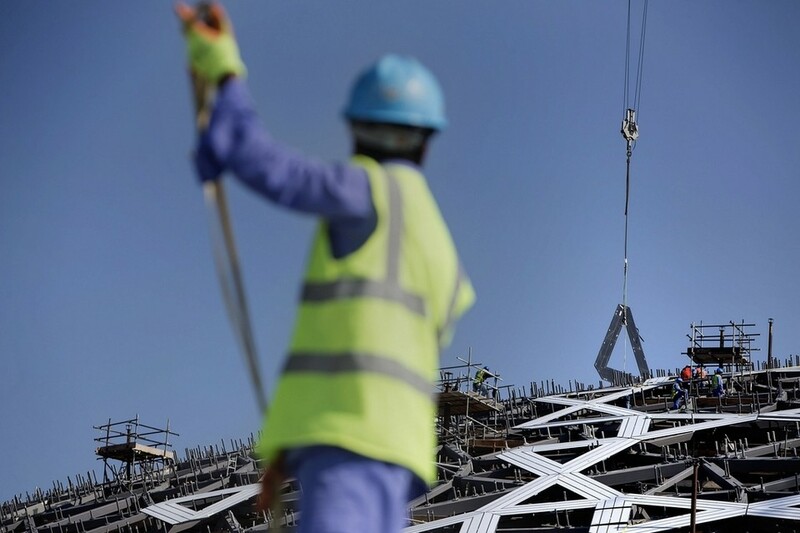 Eventually, 7,850 stars will join together to form the eight layers of cladding that will envelop Louvre Abu Dhabi’s flying-saucer-shaped canopy, the 5,000-tonne steel structure that was lowered into its final resting place in December. Made of aluminium and stainless steel, the largest stars measure 13 metres in diameter and weigh 1.3 tonnes, and when all of them are in place they’ll form a constellation that adds an additional 2,000 tonnes to the roof’s weight. If that all sounds a little excessive, that’s what it takes to produce the optical effect that promises to be the Louvre Abu Dhabi’s architectural pièce de résistance. Jean Nouvel’s Rain of Light has been designed to bathe the museum’s shaded precincts in a shower of kaleidoscopic light, and it’s Keane’s job to ensure this ­happens as the architect envisaged – and that the museum is ­delivered on time.